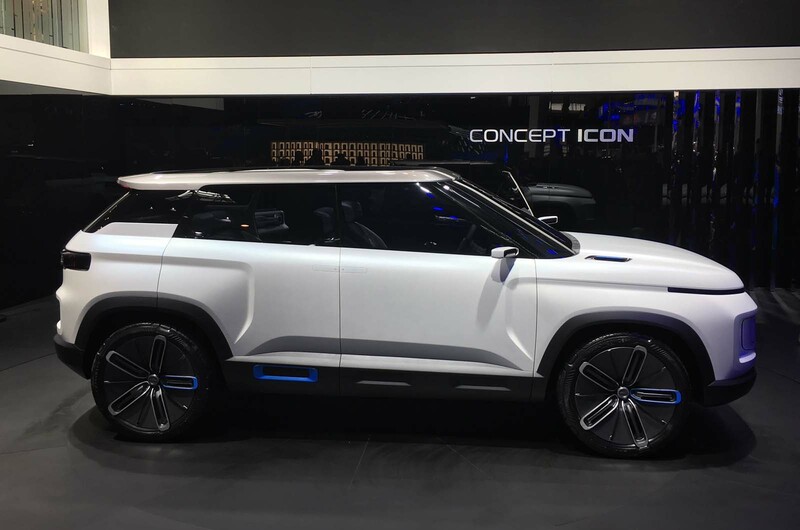 Chinese car maker Geely has unveiled the Concept Icon at the Beijing motor show, a futuristic-looking SUV model that uses Compact Modular Architecture (CMA) underpinnings co-developed with Volvo. The structure, which underpins Volvo models such as the XC40, has been developed to be compatible with combustion engine, hybrid and electric powertrains. Another Geely-owned maker, Lynk&Co, which will shortly launch in Europe, also uses the CMA platform for its models, the 01 and 02 SUVs. 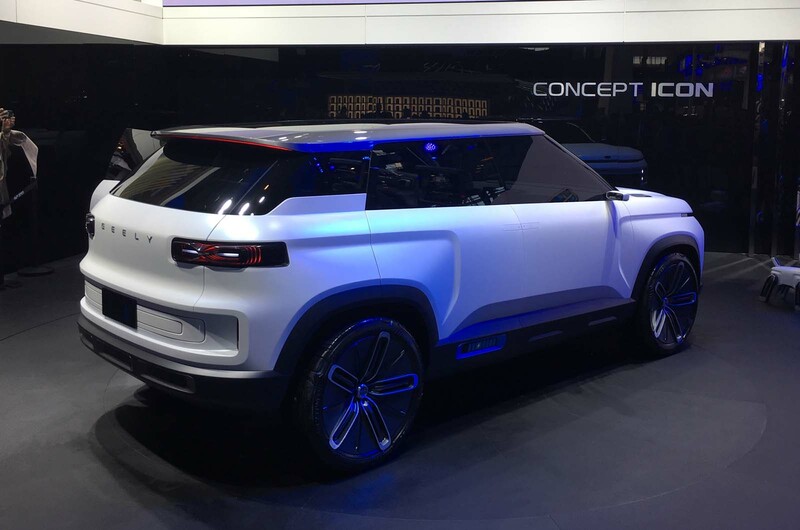 While Geely's new concept is not confirmed for production, if it gets the go-ahead it is feasible it could be sold beyond its home market of China. That’s because models using CMA, including the XC40, are already manufactured at Volvo’s Ghent plant, which means any model based on that platform could be built there. Indeed, Lynk&Co recently confirmed its models for Europe based on CMA would be produced at the factory. Geely said the Concept Icon was created to “expand Geely’s DNA by taking into account the need of a new generation of consumer”. Designer Guy Burgoyne said the surfaces and graphics of the concept had been distilled down to their minimalist form “in line with modern-day gadgets, where it’s simple on the outside but hides a more complicated and technology-focused interior”. Inside, the central binnacle disappears when not in use so that occupants can focus on the infotainment area. There are central and rear screens and plenty of space to enable storage of devices.